It wasn’t to be that Dublin would be crowned O’Byrne Cup Champions for the second time under Paul Clarke. The spoils tonight went to Westmeath who put in a huge shift. Tyrellspass man Ger Egan was the man of the hour registering 1-05 for his side. His pace and power was too much for the young boys in blue. 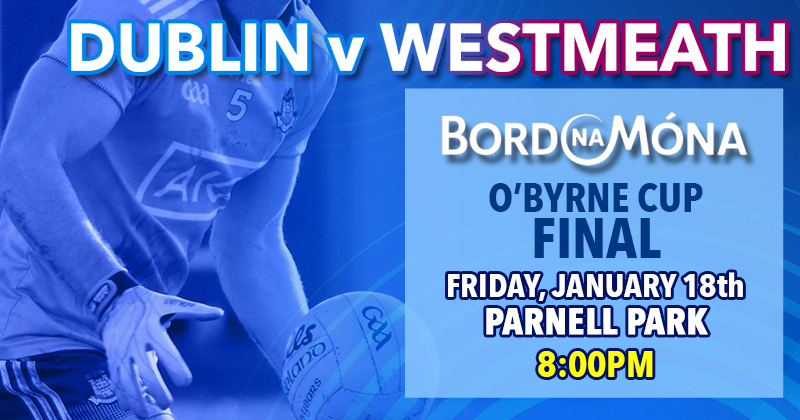 But Westmeath won’t get too over blown, nor will Dublin be too disappointed as they fielded pretty much a third string side, continuing to hunt for a few names to maybe strengthen Dublin’s ranks ahead of the National Football League campaign in just over a week’s time. The win will be good for Westmeath, who lost in last year’s final to neighbours Meath. And with a Division 3 Campaign around the corner, manager Jack Cooney will be pleased with the progress in the early stages of the year. The visitors got the better start, which could have been a lot better had it not been for a couple of early wides. Their goalkeeper Eoin Carberry will be thanked by his colleagues from stopping Stephen Smith who was one of a few who managed to tear through the Westmeath defence. Ryan Basquel, who had performed well against Meath last weekend missed a couple of early chances too which didn’t do Dublin’s confidence too well. In the absence of a lot of attack in the first quarter it was Oliver Plunkett’s Sean Bugler who finally opened Dublin’s account in the 18th. And Aaron Byrne, who impressed this evening got Dublin ahead from the resulting kick out. But Westmeath looked far more confident in possession. Kieran Martin put Westmeath ahead again after a score from Ronan O’Toole. And the visitors doubled their lead thanks to a score from early substitution Tommy McDaniel. Things could have got a lot worse a lot quicker for Dublin if it wasn’t for Andy Bunyan halting a low shot from close range off the boot of Noel Mulligan. And Aaron Byrne got the final say for Dublin closing the half on 0-05 to 0-04. Colm Basquel and Conor McHugh entered the action in attack after the break but it didn’t make a difference as Westmeath now felt they had a stranglehold on the game. Another couple from Egan and one from O’Toole kept them ticking along nicely. 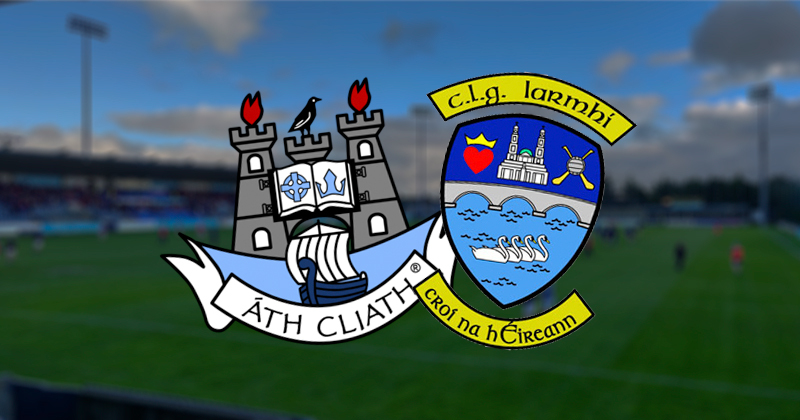 Dublin were getting more and more frustrated as nothing was sticking, while Egan and McDaniel extended their sides lead more and more out of Dublin’s reach. And any ideas Dublin had of a comeback were dashed in the 58th as Egan hit the net after a failed first attempt. Aaron Byrne and Conor McHugh did register more scores, but Westmeath sub Ger Leech added another for his side before the additional time to put the finishing touch to their performance.